Sunderland 4-0 Bolton – Move. Run. Sports. Sunderland went into this game having not won for 14 previous league games, the pressure was starting to mount on Steve Bruce’s side as they slowly got dragged into the relegation scrap which did not look likely after the great start to the season. But suddenly they started losing points and just not being able to find a win. That was all turned around on Tuesday night when they eventually turned it up a gear and really outplayed Bolton all over the pitch. Fraizer Campbell scored his first league goal for the club timed at 41 seconds which is currently the fastest goal in the premier league this season. But it was another striker who was to steal the headlines. 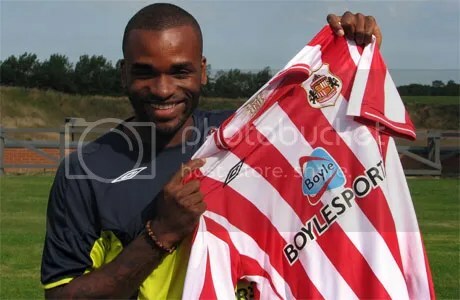 Darren Bent the clubs record signing grabbed himself a brilliant hat trick. You may wonder why as a Newcastle United fan I am commenting on Sunderland. Well I am a Newcastle fan who wants us to both be in the premier league. For the Derby games which would occur twice in a season (maybe more if we get drawn in a cup) but you cannot beat a Derby day, plus the banter between supporters is much better when we are both in the same league. If Sunderland continue the way they played on Tuesday night they will have no chance of getting relegated. Darren Bent was just fantastic and I will be one of the first to shout Bent for England . . . get him on the plane to South Africa for the World Cup!